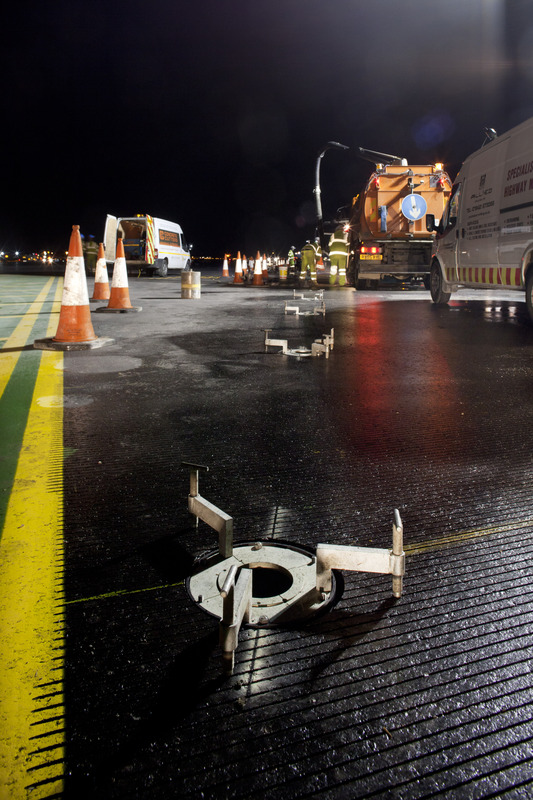 Allied Infrastructure specialise in airfield maintenance and asphalt preservation services. 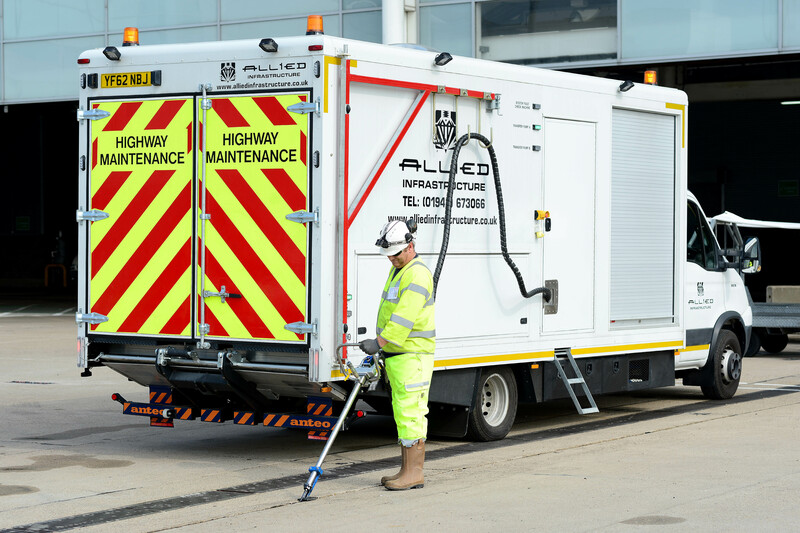 With over 20 years’ experience of working in high pressure environments and short duration closures Allied Infrastructure are able to offer complete solutions to preserve, protect, maintain and restore your infrastructure assets. 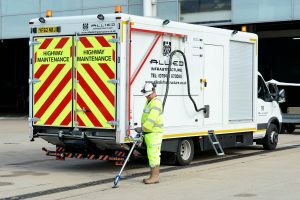 Allied Infrastructure is a multi-disciplined specialist contractor working predominantly in the Highways, Airports and Defence sectors, who have, over the years developed innovative materials to meet our Client needs. Over the years we have developed innovative materials to offer complete solutions to preserve, protect, maintain and restore infrastructure assets, especially in the airside environment. All the solutions we provide are ‘tried and tested’ over many years but are constantly under development for each of our Client’s specific requirements. 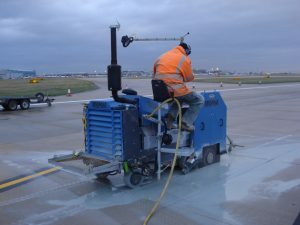 The solutions we provide are fully approved and are the preferred repair solution on the majority of the UK’s Airports where we have been able to offer asset life extending solutions which are quick to install and fast to cure minimising the down time typically associated with maintenance work. 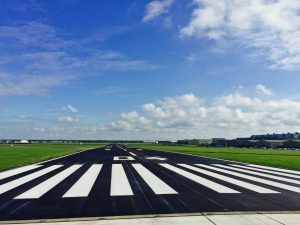 Our Airfield Maintenance teams carry out works on civil, military and private airfields in the UK and abroad. 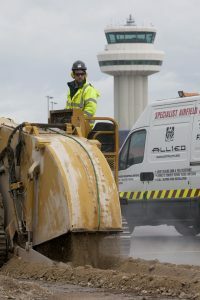 Allied are often called upon to provide pre-design, planning and programming of airfield works services and are happy to engage with our Clients to provide this. 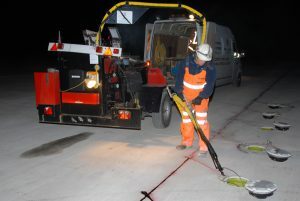 We are also able to undertake temporary airfield marking operations, and can provide a full airfield maintenance operation including cyclical tasks such as snow clearing, de-icing and grass cutting. We pride ourselves on service and we are committed to delivering the best. We have built a strong client base with regular repeat business through our professional and innovative approach to every project undertaken. We carry out repairs, maintenance and asset protection on all categories of Airports and Airfields and on Highways and Defence sites. 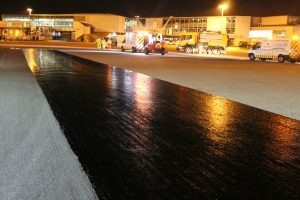 Asphalt Preservation using HAPAS approved Rhinophalt. Allied are the only approved application partner for ASI’s Rhinophalt asphalt preservative. 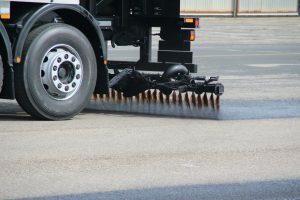 Rhinophalt is a cold spray applied protective system which forms a seal to reduce the effects of oxidisation and weathering to extend the pavement life of any asphalt surface. 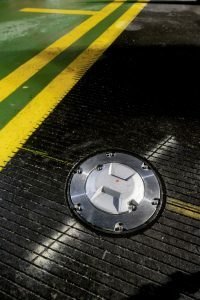 Rhinophalt will hold the asphalt surface together, reduce FOD issues and can potentially extend the life of the surface for up to 5 years after which a further application can be carried out. 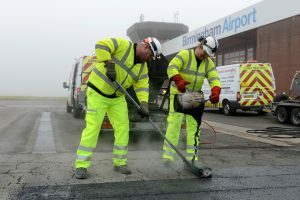 The process is particularly suited to Taxiways, Runways, aprons and perimeter/airport road and car park. This quick process is cost effective with minimal down time. 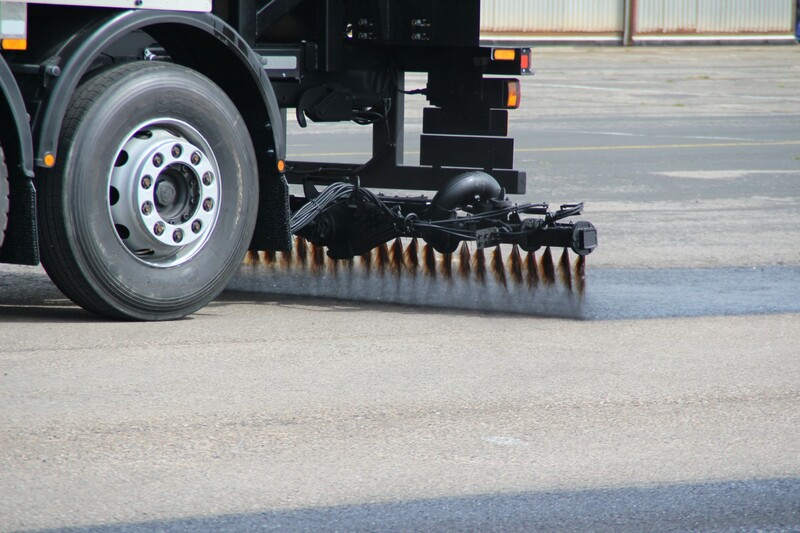 The preservation treatment can be used as an early life protection system or on an aged surface to reduce FOD and aggregate loss that occurs as the pavement oxidises and embrittles with age. Asphalt surface repairs can be carried out using Ultra-band fill and over-band material and Ultra-Screed for patching and for treating of open joints. These repair materials are hot applied, quick to cure and can be used all year round. Full depth asphalt and concrete repairs with Maxi-Crete 20, 40/Maxi-Crete F20, F40, providing a durable, strong but slightly flexible repair. 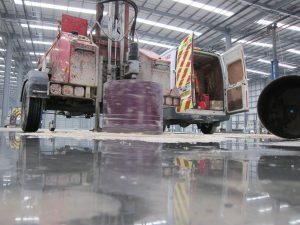 Maxi-Crete repairs are quick to cure and can be used to address any shape of defect. Inlaid joint repairs using Maxi-Crete. We are the UK’s most experienced AGL Civils contractor and have undertaken the majority of all AGL installations in the UK & Ireland. 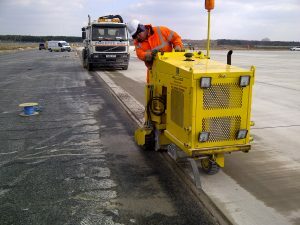 Our Surface Preparation team based out of Lincolnshire carry out techniques, which include recent innovations and standard methods. We have a fleet of specialist planers, polyplaners, scarifiers, captive blasters and we are also equipped to undertake runway grooving and diamond retexturing. 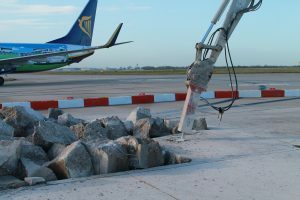 Our works project vary from anti-skid, waterproofing removal and line marking removal to tamp removal and planing or scarifying across a number of airfields, as well as private and public sector establishments. Allied’s Concrete Cutting and Drilling Division provide cost-effective services and solutions for all types and size of projects nationwide. 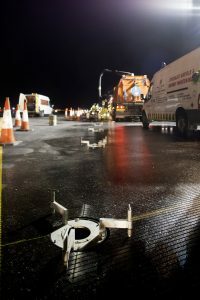 Each and every job is different – we will recommend the most appropriate technique and method to be utilised to ensure that works are completed on time and are as minimally disruptive as possible. 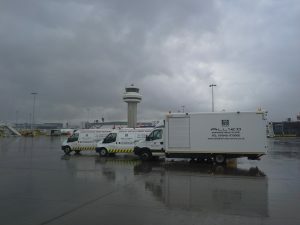 Recent projects have included works for a number of RAF locations, major International airports such as Manchester, Heathrow and Birmingham Airport and a number of Ports and Docks as well as for Water Authorities and Water Operators, Utility Companies, Highway Agency Joint Venture organisations, Premier League Football Clubs and Civil Engineering companies.